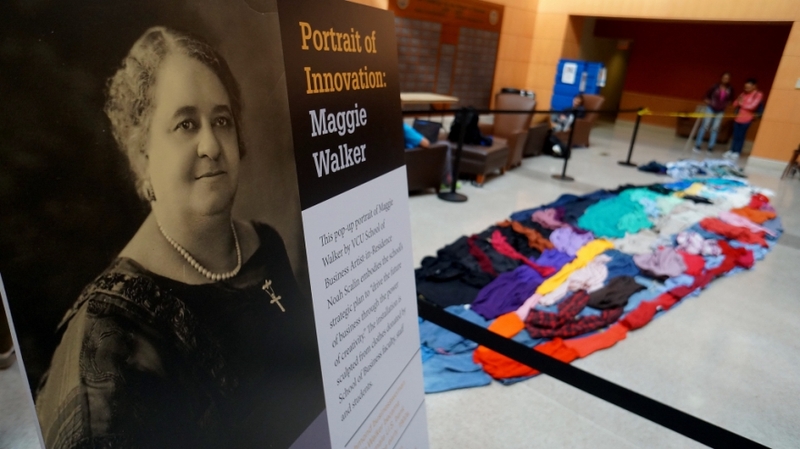 VCU’s School of Business today unveils a 30-foot “pop up portrait” of legendary Richmond banking legend Maggie Walker. It is both art, and commentary on how our minds work. Noah Scalin’s 30-foot pop up portrait of Maggie Walker will be unveiled in the atrium at VCU’s School of Business Snead Hall today at 1pm. It will be on display through Wednesday.